Gabriela Ramos, OECD Chief of staff and Sherpa to the G20, participated as guest of honour at PWN Paris Speaker dinner on 4th Decembre 2018. 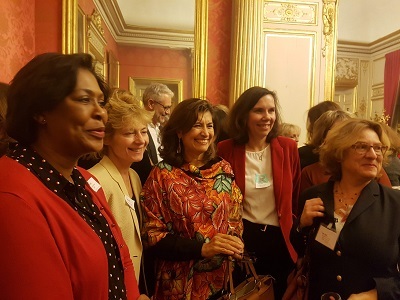 Held at the prestigious Restaurant of the French Senate, the event welcomed more than 50 participants, both men and women, member and non-member of PWN network. Gabriela made a moving keynote presentation, where she shared both her personal and professional experience as a woman and her views on women’s professional challenges and opportunities. 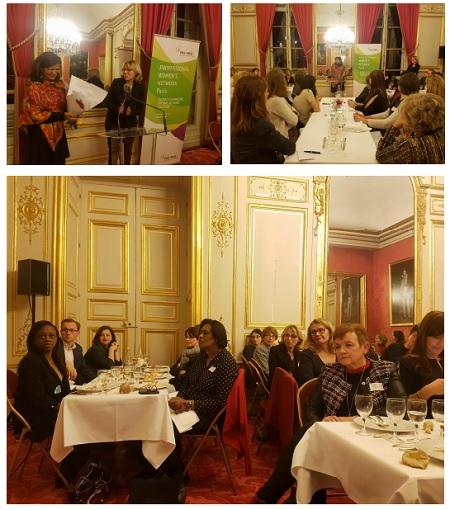 Thanks to the support of the OECD Women’s Network, PWN Paris invited Gabriela Ramos as guest of honour at the Decembre edition of its Speaker diner series. Françoise Derolez, President of PWN Paris, introduced the evening by presenting the association and the synergies between PWN and the OECD actions on gender balance and economic growth. Then, Marie-Laetitia Gourdin, VP Membership, took the floor to introduce Gabriela Ramos with selected milestones of her biography. While participants started their diner, Gabriela Ramos made the first part of her speech, speaking about her personal career progression, first in Mexico, her home country, then at the international level, within the OECD. She underlined the importance of being supported by the significant other, being thankful for the support of her husband who has always supported her career progression. She also presented how the gender programme of the OECD started, simply as an idea of the US Ambassador a few years ago who thought that this topic should be addressed during the US chairmanship of the OECD governing board. Whereas at first, Gabriela Ramos had some doubts about what the OECD could do to contribute to the progress of gender balance worldwide, being an economic focused international organisation, she very quickly understood how important it is for the sustainable economic development of every societies to improve women’s condition, from education to career path. After desert, Gabriela Ramos kindly made a tour of the various tables to share a few words with every participant, and then concluded her intervention in front of everyone with the invitation to all to simply “dare knocking at the door” of your dream career. Closing the diner, PWN Events Team offered a nice bouquet of flowers to Gabriela Ramos to thank her for her presence and the important message she shared during her speech. For several years now, PWN Paris has developed a positive and fruitful collaboration with the OECD. Building on the synergies of their actions in favour of gender balance and women’s career improvement, PWN Paris became Friend of the OECD annual Forum in 2018 and started joint actions with the OECD Women’s Network, with a first event hosted at the OECD Headquarters in July 2018, where PWN Paris representatives presented the association to the member of the OECD Women’s Network.